What To Consider When Building A New Patio? Many houses don’t have well laid out patio. In reality, a good patio should increase the overall worth of our house. Patio should be one of the highly prized areas of our house. It is something that buyers and homeowners often covet. Some buyers are willing to pay top dollar for houses with excellent patio design. 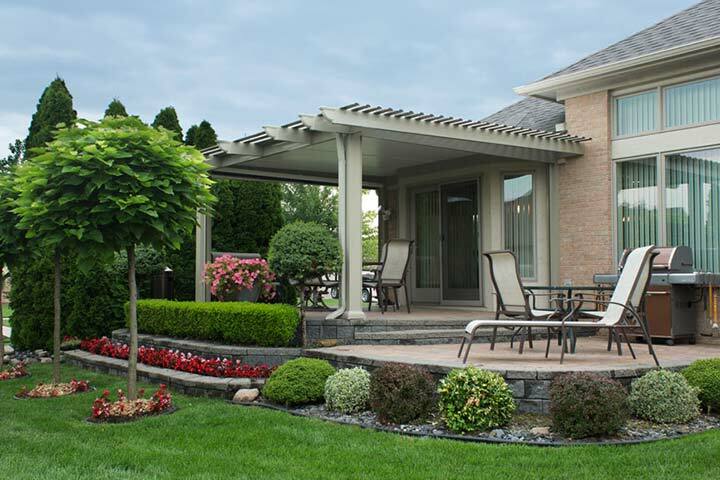 Many homeowners are adding patio to their property, while others remodel their existing patio area. With a well designed patio, we could have an area of utilitarian and functional space that becomes a real extension of our house. Adding patio in our house should be one of the best things that we can add to our home. We should be certain of what we want when we design or remodel our patio. It means that the patio should properly complement the rest of our property. It means that the patio should be in complete harmony with the rest of our house. It is important to balance the aesthetics of our house, so there is a complete harmony between them. As an example, we should create a big patio, if there’s only a small green patch in our house. There should be a degree of symmetry and equilibrium, between our patio and backyard. The patio should represent a seamless extension of our house. There should be a space where it’s convenient, easy and straightforward to enjoy our time. Weather is an important element that we should take into account. If we live in a sunny area, we could be more flexible in designing the proper patio. We should consider installing heated area or covers when we construct patio for damper and wetter areas. In general, we should make sure that we are able to overcome the dampness and the cold that could be present. A good option when we want to heat the space is by installing fire pits. We may choose heated lamps or furniture, such as benches that come with integrated heating. It is also important to make sure that we have proper access to the patio area from inside and outside the house. Plants could also provide a way to define and accentuate our patio. As an example, we may use hanging flowers if the patio has a retaining wall. Proper flowers for this purpose may include clematics, honeysuckle clusters and passionflowers. Planter baskets can be filled with petunias, pansies or geraniums. For both decorative and edible options, we may use strawberry, cherry tomatoes, grapes and some herbs. If we want to divide up our space, we should consider using hedges and shrubs. There should be a clear border between the patio and the backyard. This could also add a sense of privacy to our patio.